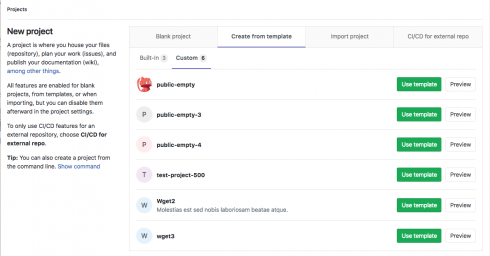 GitLab announced the latest version of its platform designed to help developers get started and iterate faster. The 11.2 release features new improvements to its Web IDE, support for Android project import, and custom project templates. Support for Android project import enables developers to import larger project structures from multiple repositories. This is because of the company’s added support for XML manifest files. Developers can also import from Android OS code from the Android Open-Source Project, GitLab explained. Custom project templates have been added on the instance level, allowing organizations to easily manage project templates. “As a GitLab admin, you can now define a group within your installation that serves as source for custom templates. All direct child projects of this group are available as templates when creating a new project,” GitLab wrote. Personal status messages in order for teams to communicate what they are up to.